Beatriz Ramo (1979,Spain) graduated from the Technical School of Architecture inValencia – ETSAV, inSpain. In 2002 she received a scholarship to study at the Technische Universiteit inEindhoven, moving to theNetherlands, where she has lived ever since. During 2003 and 2004 Beatriz Ramo worked at the Office for Metropolitan Architecture – OMA – in Rotterdam where she participated in – among other projects – the CCTV- China Central Television Headquarters and TVCC -Television Cultural Centre in Beijing, the Wyly Theatre in Dallas, the Invited Competitions for the urban plans of “Mercati Generali” in Rome, and the Railway station area in Logroño, Spain. In 2006 she founded STAR strategies + architecture inRotterdam. STAR is a practice dealing with architecture in all its forms. STAR is interested in all topics directly or indirectly related to architecture, working on projects and doing research in the fields of architecture, urbanism, and landscape design. Several prizes in International Competitions for architecture and urban planning in France, the Netherlands,China,Iceland,Lebanon,Norway, and Spain have gained STAR international recognition. Since 2007 Beatriz Ramo has been teacher at different institutions in the Netherlands such as the Academy of Architecture in Tilburg where she ran a design/research/criticism studio in the framework of architecture – being the last one called “God Save Architecture”. She has been teacher at the Master of Architecture, Landscape and Urban Design at the Academy of Architecture in Amsterdam, and at the Master of Interior Architecture at the Sandberg institute in Amsterdam. Since 2010 she is a visiting critic of Stadslab, European urban design laboratory, where she tutored the special 2010 Master class in Ukraine. Beatriz Ramo has been invited as guest critic for different European architecture schools and institutions such as the Berlage Institute, the AHO in Oslo, Chalmers School in Gothenburg, etc, and she has been jury for several architecture competitions in France, Switzerland and Norway, where she was the chairman of the jury for the Europan 12 competition. Beatriz Ramo has lectured internationally on architecture in general and the work of STAR in particular, at the Pavillon de l’Arsenal in Paris, the National Art Gallery in Vilnius, the SCA in Buenos Aires, CCPE in Rosario, Architecture Club in Kiev, Chalmers School in Gothenburg, Elisava School in Barcelona, Museum of Architecture in Wroclaw, and at the Rietveld Academy in Amsterdam. She has collaborated with MONU magazine on urbanism from its first issue onwards, and since 2008 she is managing and contributing editor. MONU is of the leading independent magazines on urban topics published today, bringing together challenging themes explored by interesting writers and theorists. 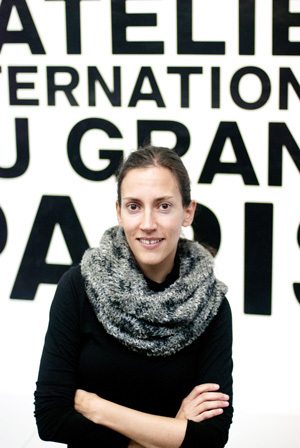 Since 2012 Beatriz Ramo is member of the Scientific Council of the AIGP– Atelier International du Grand Paris, together with 13 other architects such as Winy Maas, Dominique Perrault, or Christian de Portzamparc advising the French Government about the development of the Parisian metropolis and working in several research and design projects such as the ‘Co-Résidence’. 2006- … / lecturer at different institutions worldwide: National Art Gallery in Vilnius, Pavilion de l’Arsenal in Paris, Berlage Institute in Delft, SCA in Buenos Aires, CCPE in Rosario, Architecture Club in Kiev , Museum of Architecture in Wroclaw, Rietveld Academy in Amsterdam, etc. 2007-2009 / twice awarded grants from the Netherlands Foundation for Visual Arts, Design and Architecture (Dutch Ministry of Culture). 2007- … / guest critic-jury at different universities: AHO in Oslo, ACU- Ateliers de Création Urbaine in Paris, Chalmers School in Gothenburg, Elisava School in Barcelona, Berlage Institute in Delft, etc. 2013- … – jury for different competitions: Europan Norway (president), Genève, Vitry-sur-Seine, etc.